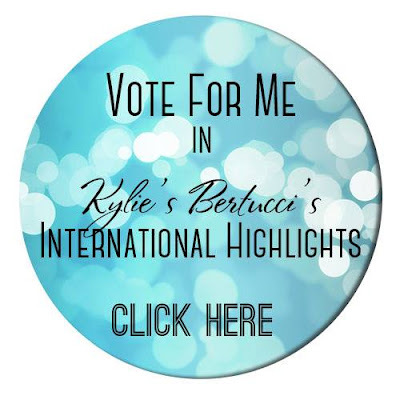 Today I'm playing along with the baby theme for this month's International Blog Highlight hosted by the lovely Kylie Bertucci! And I thought rather than going the usual route with this card, I'd have a little fun with two of my new stamp sets! I've used the Hello Friend stamp set (which coordinates with one of the card kits at the front of the new catalog) & the Oh So Eclectic, which I think just might be my fave so far! I've chosen a baby girl card, cos you know I love mixing pink with copper heat embossing, so this was the perfect occasion for one of my fave combos! I've used Pink Pirouette, So Saffron & Lemon Lime Twist. I've added a Billie Bow & some Clear Wink of Stella to the sentiment, which I've heat embossed in White. I have used my Aqua Painter to apply the colour for the background, flowers & leaves. The sentiment was cut out with the Stitched Shapes Framelit Dies. I've also splashed the background with Clear Wink of Stella & the So Saffron Stampin Write Marker. I've also added a piece of white paper Doily & some So Saffron Enamel Shapes. I've heat embossed the inside to match & these little flowers are also from the Hello Friend stamp set. 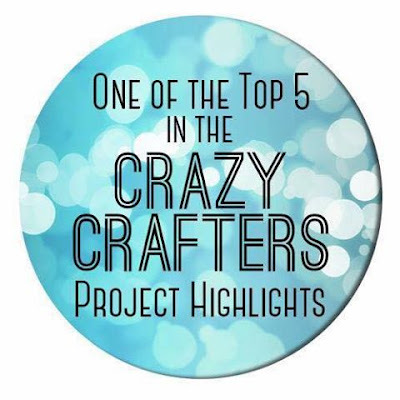 This card was chosen as one of the Top Five in the Crazy Crafters Blog Highlights.